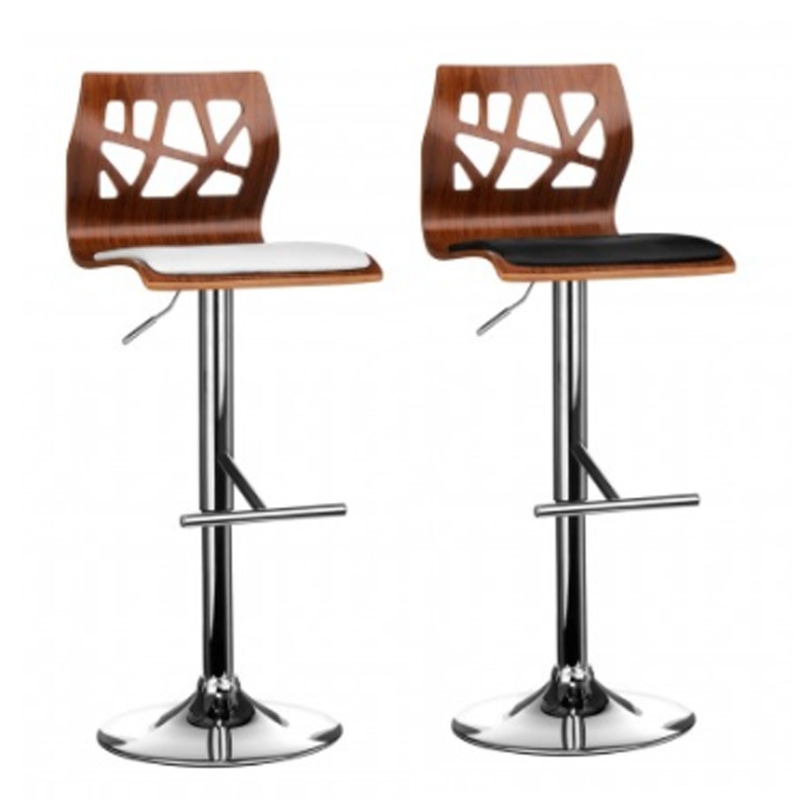 This is a gorgeous bar chair which is sure to make any home look a lot nicer. It has a fantastic walnut wood back with a cutout design to make it look a lot more sophisticated and attractive. This has a gorgeous leather seat with either a black or white colour. This chair also has a sturdy chrome base and a footrest.